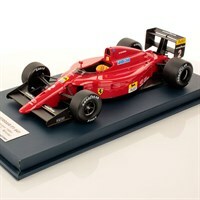 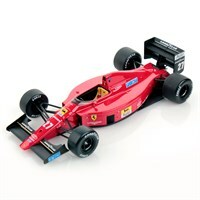 Look Smart 1:18 resin model of the #2 Ferrari F1 641 as driven to victory by Nigel Mansell in the 1990 Portugeuse Grand Prix. 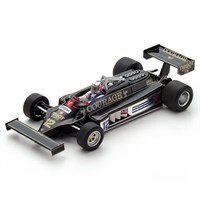 Spark 1:43 resin model of the #12 Lotus 87 as driven by Nigel Mansell in the 1981 British Grand Prix. 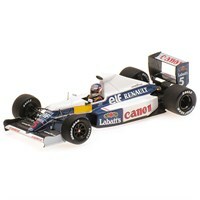 Minichamps 1:43 diecast model of the #5 Williams FW13B Test Car as driven by Nigel Mansell in the 1990 Formula One pre-season testing. 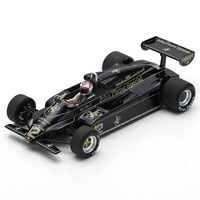 Minichamps 1:43 diecast model of the #12 Lotus 94T as driven by Nigel Mansell in the 1983 Formula One season.